Hibiscus. Scientific name. Identification, origin, content and active ingredients. 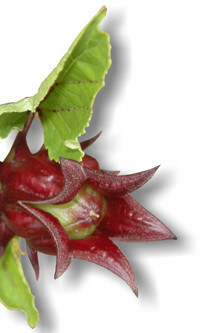 General characteristics of Hibiscus plant. Health benefits attributed to the plant. Uses of hibiscus flower. Warnings, contraindications. Preparation and dosage. Hibiscus benefits. The Hibiscus have alternate leaves, simple, ovate to lanceolate, often with serrated or lobed margin. The flowers are long, conspicuous, trumpet-shaped, with five petals, in shades of white to pink, red, purple or yellow, of 4-15 cm size. The fruit is a capsule containing several seeds in each lobe, which are released when the capsule opens, at maturity. The parts used are the flowers (calix and receptacle). 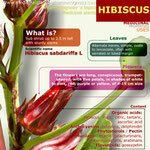 The Hibiscus plant is native to America and Africa. It was described by Linnaeus and published in Species Plantarum 2: 693, in 1753. Hisibisco tea has laxative effect due to its high content of organic acids. 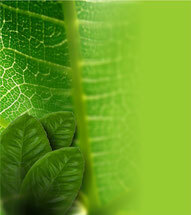 The aqueous extract of the leaves has a relaxing effect on the uterine musculature. It also has hypotensive effect. It is indicated in gastrointestinal spasms, constipation, lack of appetite, dyspeptic symptoms, hepatobiliary dyskinesia, gastroenteritis. Hypertension, capillary fragility, varicose veins, hemorrhoids. Anxiety, insomnia. Colds, flu. No side effects or contraindications are reported about the recommended doses. - Infusion: A tea spoon per cup. Three or more cups a day. Prepare the tea by adding freshly boiled water over 1.5 g of milled drug, let stand 10 minutes and filter. - Fluid extract (1:1): 30-50 drops, one to three times a day. - Tincture (1:10): 50-100 drops twice or three times a day, at the beginning of the meal. - Dry extract (5:1): 100-400 mg, one to three times daily. summary characteristics and properties of HIBISCUS.